The off season at Road’s End Farm Horsemanship Camp revolves around caring for the herd of horses, maintaining the land, and preparing for the next summer camp season. With a small crew of full timers at the end of the road, we work every day to keep this beautiful farm here for the girls who come every year to enjoy the horses and the wilderness in rural Chesterfield, New Hampshire. We wouldn’t be able to function as a working horse farm without our tractors, and we wouldn’t be a riding camp without our horses. 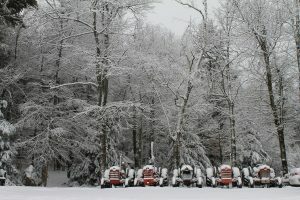 Almost all of our tractors (they are all Ford in this picture) are winterized and not used until all of our Road’s End Farm family comes back for the summer! In the summer months, we will put a few of these to good use for work duty to make sure we have clean trails for our daily trail riding. If your a previous camper reading this, I’m sure you have memories of throwing brush onto the flatbed trailer and building our famous bonfire! Thank you for all of your hard work and we look forward to many more brush loads during Summer 2017! For 3 months out of the year, we are a summer camp where campers, farm life, and horseback riding take control of our lives. The rest of the year, we are a working horse farm where the animals and people enjoy quiet nature. As the horses grow their winter coats to keep warm, us people bundle up and take care of all the animals that call Road’s End Farm home. 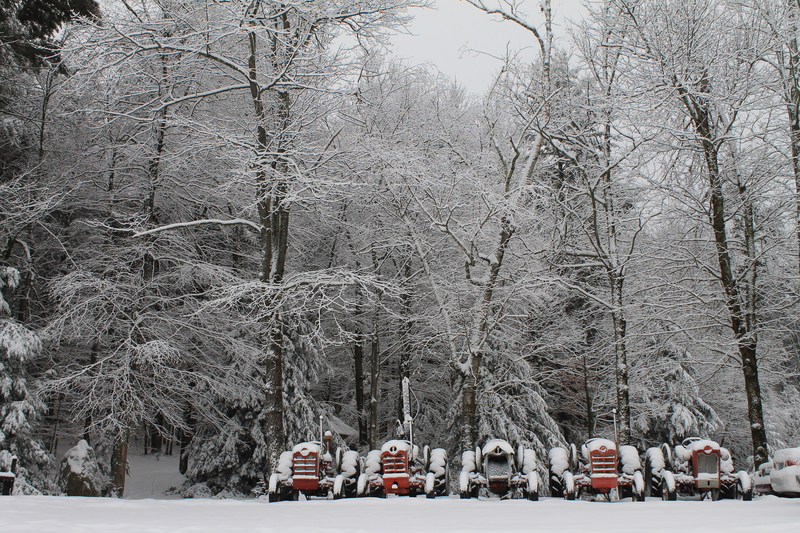 We love our seasons in New England! Happy Winter! Many camps close for the off-season, but with 69 horses and many acres to maintain, we don’t have the luxury of an 8-month vacation! We love the farm work and the change of seasons is refreshing each time there is a significant change. The horses love playing in the snow, as they are much more durable than humans, and they don’t mind the cold. 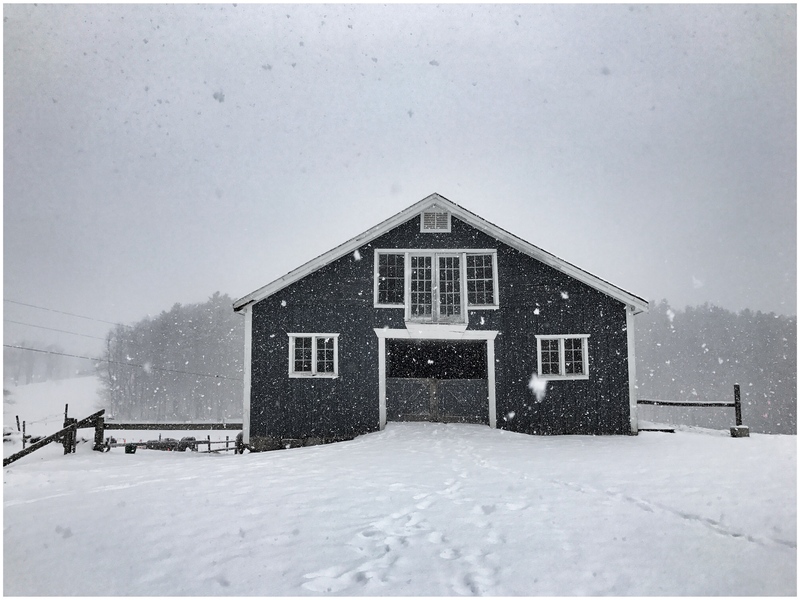 This picture of the new barn was caught right as these large flakes were falling and the farm had a clean, white blanket laid over the premises.